Computers are becoming more and more indispensable day after day. They have become primary repositories our digital photos, documents, invoices, multimedia etc. The sheer volume of computer users and the advent of cheap always-on internet connections has made computers an attractive targets to hackers distributing viruses, spyware and other malicious software. You might have an anti-virus software installed in your computer that auto updates itself against latest threats. 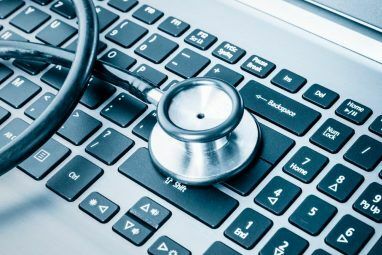 if you haven’t, here are MakeUseOf’s recommendations for the best free antivirus The 10 Best Free Antivirus Software The 10 Best Free Antivirus Software No matter what computer you're using, you need antivirus protection. 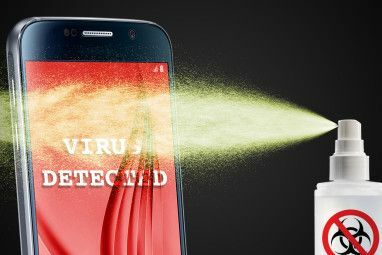 Here are the best free antivirus tools you can use. Read More you can get your hands on. In addition to that, it is always a good idea to keep yourself on top of what exactly is happening in the computer security front. 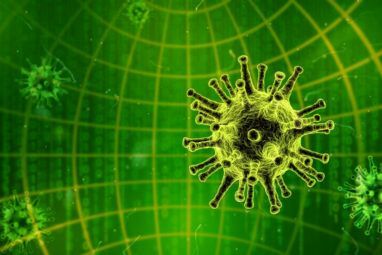 Viruses and other threats have a tendency to replicate themselves, making it tough for security software vendors to issue a patch. We have compiled a list of reliable official and independent sources that publish computer virus news and alerts as and when the outbreak happens. ESET is a trusted name in the desktop security business. They won the hearts of both enterprise and home users alike with their rapid virus signature updates, sometimes multiple times a day, if necessary. They maintain a fantastic ESET Threat blog to keep everyone up to date on any new virus or malware threats. The blog is updated regularly and in addition to providing the latest information on viruses, they post lot of useful data walking users through tips & tricks to avoid skimming, phising etc. ESET updates the blog with content that serves everyone – from newbies to White Hat hackers. Posts detailing as to how the malware underground works, how BlackHat hackers distribute malware via online games, how botnets manipulate the stock market are some of the interesting topics covered in the blog. Trend Micro is one of the pioneers in the computer security business and they have put up a threat encyclopedia to keep their users in the know of the latest computer virus news and alerts. Recent strains of malware, spyware and vulnerabilities are segregated in their respective tables, with an appropriate risk rating. Clicking on the malware name opens a pretty detailed advisory as to how this malware harms the desktop and the platforms it is active on. With a global map showing virus threat levels, list of recent threats to a general purpose threat meter, McAfee’s Virus Information page is put together very well. There are free resources to teach beginners about various threats like virus, malware, spyware etc. and how to identify one from another. Free virus specific diagnostics and removal tools can also be downloaded from here. Being a name synonymous with the computer security industry, Norton maintains an exhaustive threat explorer index. You can check out all the latest computer security threats listed in a single page in alphabetical order and can even search for a particular virus if you know the name. Securelist is a computer virus threat information portal maintained by Kaspersky Labs. They list recent virus descriptions found, in depth reviews of Malware behaviour on test systems, news & analysis of hot security topics, Monthly malware statistics and a lot more related to information security. ComputerWeekly, a reputed technology blog has an exclusive section dedicated to computer security alerts and analysis. In addition to covering news about computer security threats, they also publish in depth articles on vulnerabilities available in popular gadgets and smartphones. Their forward-looking coverage on future threats & impending spam campaigns and in-depth white papers on IT security alerts are thorough and written in a simple language making it easy for newbies to understand. True to its name, Virus Bulletin is a blog dedicated to cover virus, malware and spyware outbreaks. Virus Bulletin carries a lot of articles on malware tests & analysis complete with complex graphical interpretations. A fantastic chart showing the list of top malware and their prevalence percentage on computers adorns the homepage. There is also a calender displaying various security conferences & conventions across the globe. With hard to miss, color-coded list of recent IT security threats displayed prominently, Security News Portal makes an impression right from the first visit. The portal covers a lot of platforms but highlights vulnerabilities in Microsoft Windows, the biggest among them all. Among the official sources, ESET’s blog is an enjoyable read and is extremely qualified to become a full-fledged computer security blog. Kaspersky Securelist comes in as a close second with its computer virus alerts and analysis. The rest of the official sources are updated regularly with mostly basic computer threat description for a quick glance. ComputerWeekly and Virus Bulletin both do an excellent job in reporting and covering threat alerts in a language that even newbies can comprehend. Now that you know where to read about computer virus alerts, you might want to check out our coverage of the best websites to find fixes for virus & malware The Best Websites To Find Free Virus & Malware Fixes The Best Websites To Find Free Virus & Malware Fixes Read More . Do you follow a great blog or portal for computer virus news and alerts that we have missed? Please do share it with us in the comments section. Explore more about: Anti-Malware, Spyware. The answer is very simple: Linux. No anti-virus needed. Wow! Thanks Aibek. Glad you liked it. This is an excellent post. You said ,"how botnets manipulate the stock market are some of the nteresting topics covered in the blog." In that sentence, you have misspelled "Interesting" for"nteresting". Thanks for pointing out Tony. Will correct it shortly.